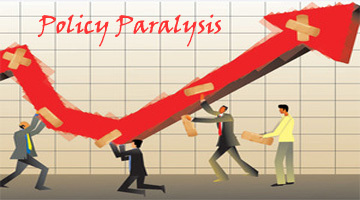 Policy Paralysis (PP) was one of the catch phrases that enabled BJP-led NDA to defeat Congress-led UPA in 2014 Lok Sabha polls. Has PP ended? The answer is both Yes and No. Yes because there has been modest increase in policy decisions taken by NDA. Couple this with terrific marketing of repackaged schemes and policies. NDA’s performance is thus slightly better than UPA’s. And no because Comptroller and Auditor General (CAG) reports, presented during the winter session and earlier, show that bad governance continues to rock as it did under the UPA. Certain indicators, in fact, imply that misgovernance has risen under the Modi Government. Anyone can arrive at this conclusion by comparing the observations, conclusions and recommendations made by CAG every year in its reports on different ministries. Three years is adequate period to judge ruling alliance’s passion or aversion for policy paralysis. If continuation of same errors, same indifference, same revenue leakages, same fiscal opacity and same deficiencies under NDA is not policy paralysis, then what it is? The muck-raking electioneering for Gujarat State Assembly has turned Indian democracy and governance on its head. The conduct of campaigners must be judged from all angles to frame a statutory code for political discourse and display. The focus, of course, has to be on the Prime Minister Narendra Modi. He should be judged through the prism of Kautilya’s governance treatise Arthashastra, Indian Constitution, Parliament’s unanimous 1997 Agenda for India (AFI) and Election Commission’s Mode Code of Conduct for Elections (MCCE) . In Chapter Xth titled ‘Ascertaining by Temptations Purity or Impurity in the Character of Ministers’, Kautilya specified four purity tests. These are: religious allurement; monetary allurement; love allurement and allurement under fear. Kautilya, also revered as Chanakya, stated: “those whose character has been tested under all kinds of allurements shall be employed as prime ministers (mantrinah)” by the King. Watching Gujarat poll campaigns from Heaven, Kautilya would perhaps broaden his four purity tests in the age of democracy. 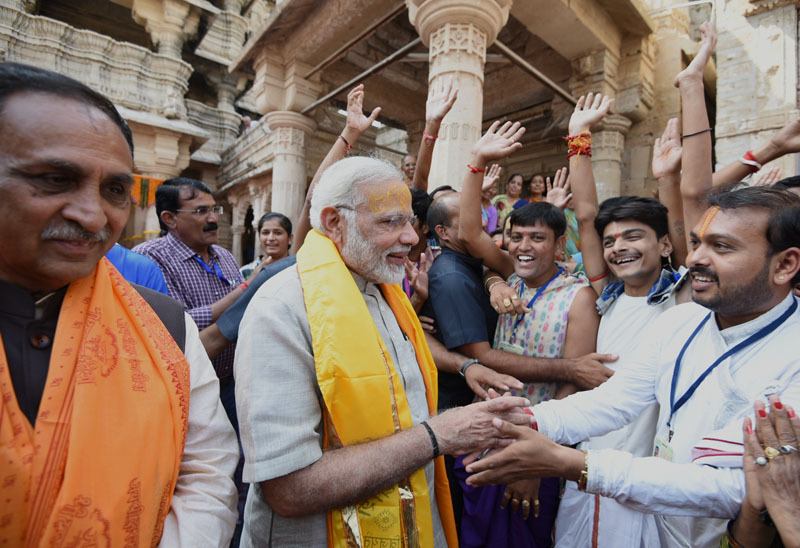 He would thus find Modi failing on touchstone of religious allurement and allurement under fear. PM played these two impurities to the hilt to woo voters. Can Triple Cobweb of Info Exchange Net Tax Evaders? It is time to take a stock of ground covered by the world in tax transparency within the domain of tax administrations. Organisation for Economic Co-operation and Development (OECD)-hosted Global Forum on Transparency and Exchange of Information for Tax Purposes (Forum) released on 17th November its first report on the status of implementation of automatic exchange of information (AEOI) standard. “With exchanges under the AEOI Standard having now commenced amongst almost 50 jurisdictions there has been a major shift in international tax transparency and the ability of jurisdictions to tackle offshore tax evasion”, says the report. The 147-countries/jurisdiction Forum held its 10th plenary meeting over three days ending 17th November at Cameroon. The Forum also released Plan of Action for Developing Countries Participation in AEOI (PADCP-AEOI), apart from six peer review reports. These reports take stock of implementation of Exchange of Information on request (EOIR) standard in India, Italy, Isle of Man, Denmark, Jersey and Curacao.